Tigers raced out to big lead but falter late. The upset train nearly made another stop during the opening weekend of college basketball as Texas Southern just barely fell at Washington State, 86-84 in overtime. The Tigers went on the road and jumped on Washington State early in the ballgame, racing out to a 31-9 lead at the 6:46 mark of the first half fueled by nine points from Donte Clark. Texas Southern led 42-24 at the half. In the second half, Washington State went on an 18-2 run starting at the ten-minute mark to tie the game at 70 with one minute remaining. 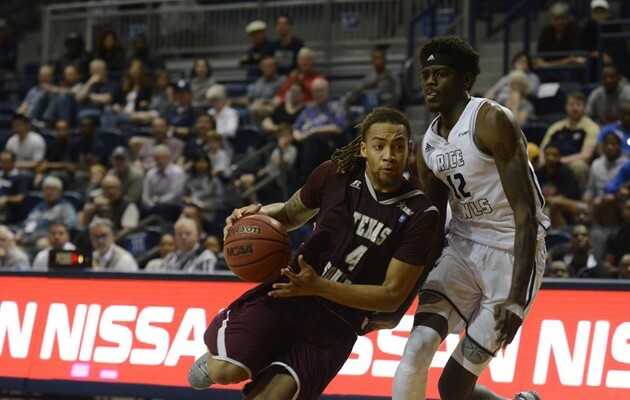 TxSU took the lead back at 72-70 when Kevin Scott made a layup with 41 seconds remaining. Washington State tied it back up at 72 with two free throws from Carter Skaggs. The Tigers missed an opportunity to retake the lead with 14 seconds left when Scott missed a jump shot. The game went into overtime as Washington State missed a shot right at the buzzer. In overtime, Texas Southern kept pace with Washington State as Derrick Bruce opened the extra frame with a pair of three-pointers. With 1:02 remaining Trae Jefferson put the Tigers up 82-80 with a three of his own, but Malachi Flynn answered with a three of his own for Washington State on the next possession with 44 seconds remaining to retake the lead. Texas Southern had the chance to tie or take the lead with nine seconds remaining but Donte Clark turned the ball over and Washington State held on for the win. The Tigers are 0-2 to start the season but road trips to Gonzaga and Washington State is a way of life for mid-majors early in the season. Don’t blink yet, between now and Thanksgiving TxSU will play at Ohio State, at Syracuse, at Kansas, and at Clemson.